Laughter is the best cure for depression, but how do you laugh when you're feeling so low? Tune into the Skype Laughter Club and get the positive effects of laughter immediately. You've probably heard how laughter relieves stress, but when you're "stressed out" at the office and your boss is “breathing down your neck,” the importance of laughter not only gets pushed aside, but becomes a job threat because laughter and stress don't mix well at the office. There are numerous effects of laughter on both emotional and physiological levels. Some of the benefits of laughter include lowering cortisol (the stress hormone), lowering blood pressure and fighting off colds. When I attended my first call with the Club, I had no idea what to expect. Like all my cells inside were dancing around happy! Now, I know that might sound a bit “much,” but that's how I felt and it happened the next time I got on the call too. 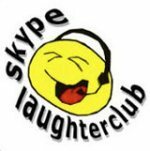 So, since the Skype Laughter Club is as close as your computer and you can attend for free, I encourage you to help lift any depression or sad thoughts and give yourself the best [and cheapest] medicine you can by joining the Skype Laughter Club. Get on your computer 10-15 minutes before the “meeting.” They'll message you or you can message them to include you in their phone roster when they make the broadcast call. 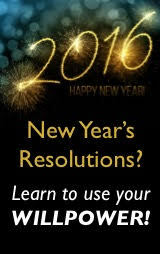 Benefits of Positive Thinking: Unquestionably the One Benefit That Motivates! Everyone's talking about the benefits of positive thinking these days, right? But there's really only one that has the power to motivate you to stick with using your positive thinking power everyday.